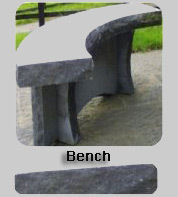 We produce impressive circular stone tables, benches etc for gardens, public parks and foyers which provide both practical and attractive unique features. 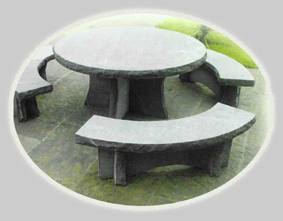 Whereas the best of teak furniture has a limited life, our stone tables will last forever. 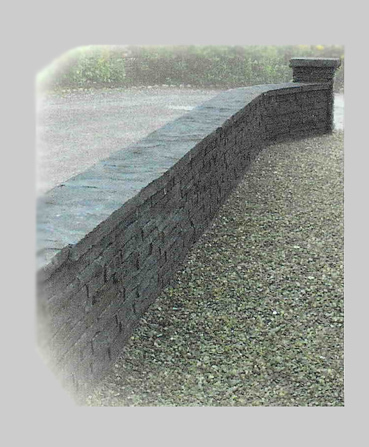 We provide stone for a wide range of other uses; wall capping, pier caps, garden edging, windowsills, lintels, doorsteps etc. We can offer letter cutting for house name plaques, headstones etc.